Are meteoroids literally related to meteor “showers”? Meteoroids travel through space even though they do not have any thruster pushing them or pulling them. Also, these stony or metallic debris are significant to understand the structure of the matter forming out of the cloud of dust and gas. But, are meteoroids really related to meteor “showers”? First of all, to better specify meteoroids, we need to learn more about the difference between meteoroids and meteors. A meteoroid is a solid body in the range between a grain and a one-meter-object, consisting of mostly heavier elements. A meteor is an event caused by a complex of solid, liquid and gaseous matter penetrating the atmospheric layers. And, most of the time, it is caused by the interactions between air molecules and dust. In that regard, we can say that a meteor is a bright light or glow caused by either a meteoroid or dust. Meteorite is a rare-used notion for any natural solid body that originates in outer space and reaches the Earth’s surface without completely burning up(1) and without vaporizing. In that regard, meteorites are, actually, what is left behind after meteoroids penetrate the Earth’s atmosphere. Meteor showers do not refer a bunch of natural solid bodies left behind by meteoroids, conversely, refer intense light beams and glows that cover the sky. 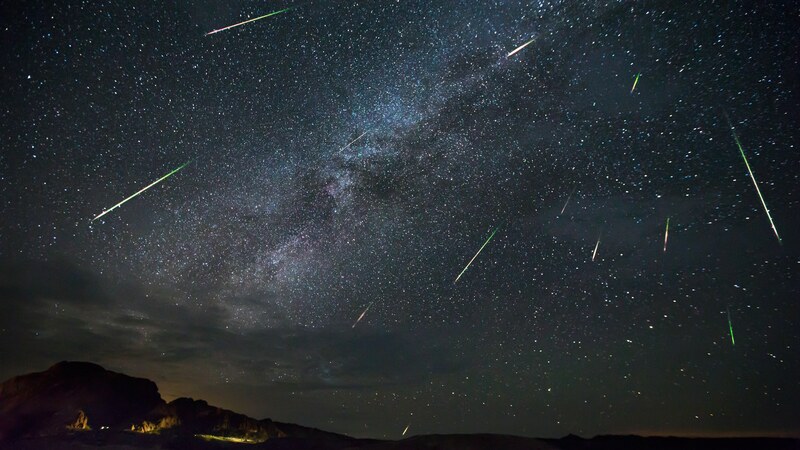 Meteor showers are mostly instigated by comets when the Earth passes through clouds of dust left behind by them. The reason is as follows. On approaching the Sun, the outer layers and surfaces of comets vaporize which is why they leave a trail of dusty debris behind them(2). And, when the Earth passes through clouds of dust left behind by comets, the cloud of dust interacts to the atmosphere and therefore radiate electromagnetic radiation. Meteor showers have a vastly different effect on the Earth’s atmosphere due to their wide range, as compared to meteors. Which is why a meteor shower had been known as a bad sign foreshadowing a natural cataclysm. But, meteoroids do not stimulate meteor showers, interestingly, comets do. (1) T. Bobrovnikoff, Nicholas. "Meteorites and Meteors." The New Book Of Popular Science Vol-1. Grolier Incorporated, 1988. 161-162. Print. (2) Bely, Pierre-Yves, Christian, Carol, and Roy, Jean-René. "What causes meteor showers?." A Question and Answer Guide to Astronomy. Cambridge: Cambridge University Press, 2010. 111. Print.